Looking to sneak away for a weekend of adventure in the mountains? Whether it's a ski chalet in Flagstaff, a family getaway in the White Mountains, or a quiet weekend in Sedona, we have the perfect mountain trips planned for you! Watch the video below to see the best places to sneak away for mountain adventures in Arizona! 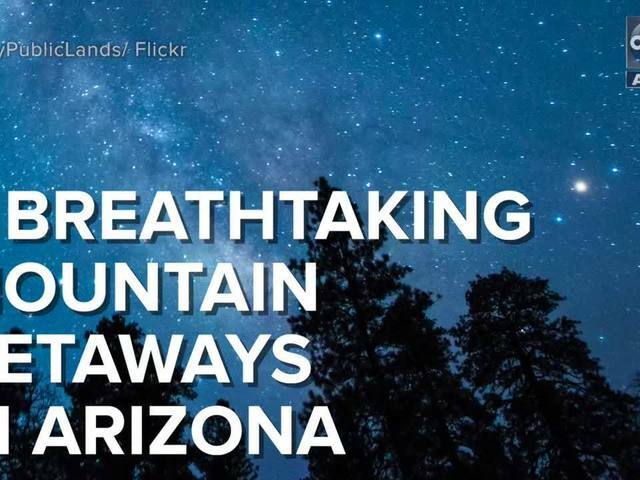 RELATED: 6 insane camping spots in Arizona! MORE: 5 hidden waterfalls you need to road trip to Arizona!